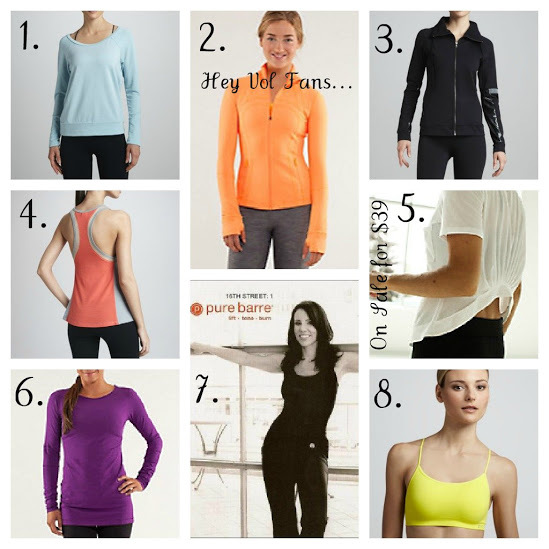 are you looking for quality workout attire? 85% of the time, i am not wearing trendy clothes. i am wearing comfortable workout clothes. i have ended up living in these clothes. it isn't like the cool sweater you bought that hangs in the closet with the tags on it. it would be a desirable christmas gift, too! give it a shot. also, many of these brands have great sales. it may take a little research, but they are out there. also, nothing beats attending a local pure barre class. it has literally changed my life. but maybe the dvd is more convenient for you. have a fabulous fitness friday!